Last month, I happened to be visiting Scotland when the World Highland Games Heavy Events Championships were scheduled to take place in the small town of Dunfermline, which is located about a half hour train ride from Edinburgh. Until then, I’d never heard of the Highland Games but since it took place on a weekend and I had nothing else to do, I decided to check it out. The events that took place over August 23rd and 24th were like nothing else that I’d ever seen. First, each competitor was wearing a kilt with their shirt. It really gave you a sense of place – even the announcer was decked out in a Scottish kilt. There were also bag pipe bands, children doing traditional dancing, mini-events for spectators, and some Scottish drummers. Overall, it was a pretty entertaining couple of days. You can check it out via some of the videos below from Tours Scotland. The first video shows you some of the music performances that took place during the days of the games. There were a lot of Scottish performers who really put on a great show for the spectators. This next video showcases the caber toss event for the women. You see, the men and women do not compete together at these games. Instead, the men all compete and then the women all compete. 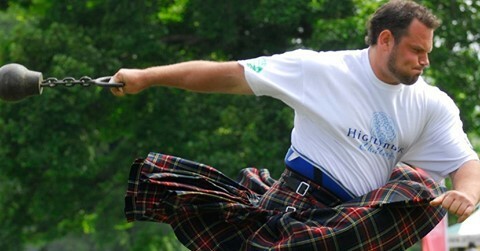 So, there are no mixed gender, or coed teams at the Highland Games. Some of those women were really strong though, so I would have liked to have seen them go up against some of the guys! The winner of the games this year was American Matt Vincent. This was Matt’s second win, as he also won back in 2012. For a good interview with Matt, check out this site. What is interesting about these championship events is that they are invite-only, unlike the rest of the Highland Games that take place throughout the summer. It is supposed to represent the best of the world’s strongest men. 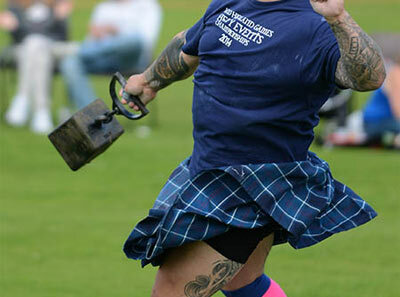 You read a bit more about the Highland Games in an article on the Scotsman website. After seeing these guys compete at the championships, I have to wonder what kind of crazy workout and training routine they have for this. How do you adequately train for a caber toss competition? If you see one of these events going on in your neck of the woods, as they seem to happen all over the world, definitely check it out for an entertaining day. It’s definitely a cool experience and it’s really awesome to see what some of these athletes are capable of out there.